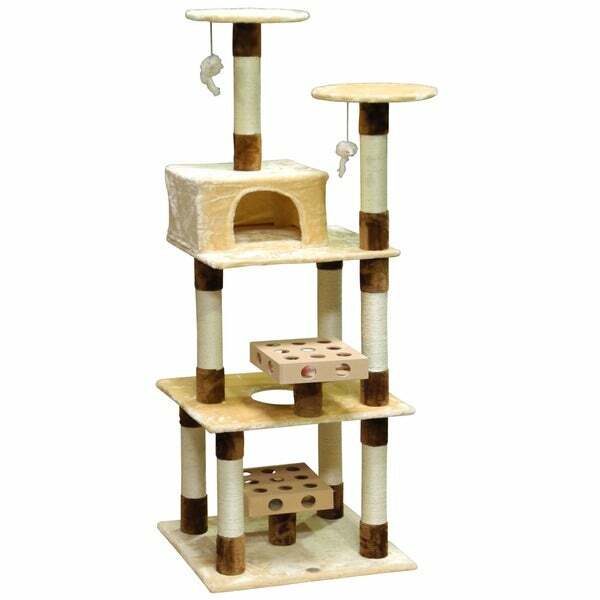 Palatial in scale and perfect for two or more cats, this deluxe cat tree features two IQ Busy Boxes for cognitive stimulation and engagement. A plenitude of perches and places to sit, scrunch, or lounge means this tree is perfect for accommodating multiple cats in style and comfort. Pamper your pets with this delightful multi-tiered unit.